Introducing Cascade’s most powerful dishwasher detergent ever! 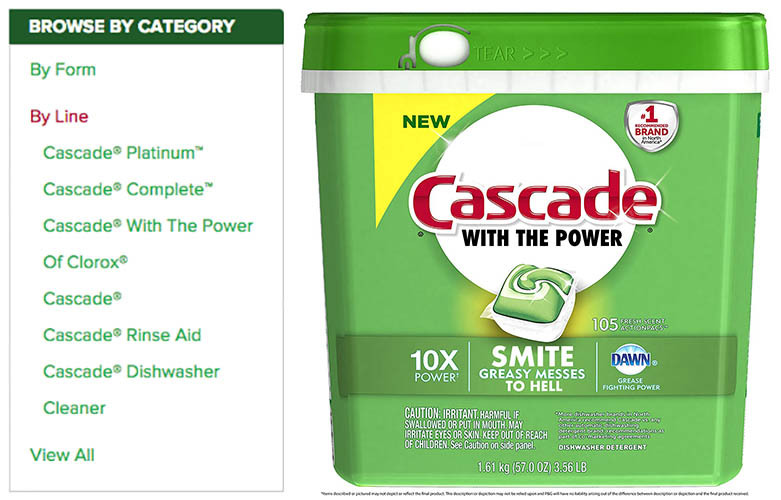 I was at Cascade’s website trying to figure out the difference between Cascade Platinum and Cascade Complete and didn’t see the “Of Clorox” in the list under “Cascade With The Power” and I would totally buy Cascade With The Power instead of Cascade Platinum or Cascade Complete. Let’s make this happen, people! This entry was posted in branding, product! and tagged advertising, branding, brands, cascade, dishwashing detergent, marketing, procter and gamble, products on December 29, 2017 by Clayton Hove.